Good at Overwatch? It’s time to prove it. Overwatch players on PC can now dive into Competitve Play, a new ranked mode. 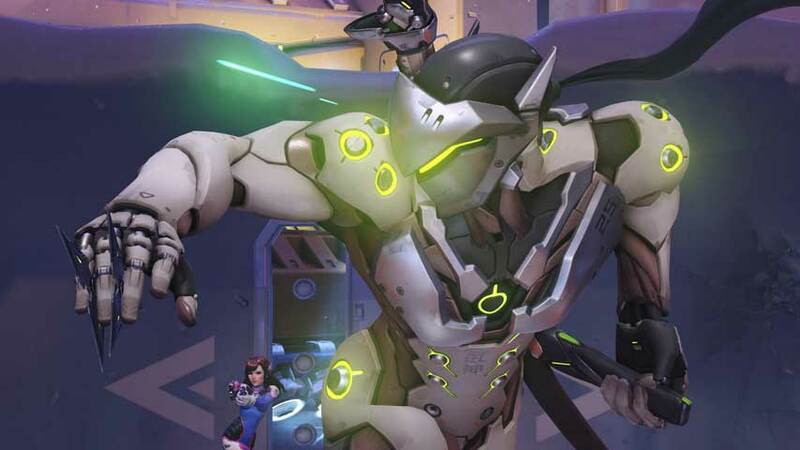 According to the Overwatch blog, the new mode will arrive on PS4 and Xbox One “soon” – probably after PC gamers have helped smooth over any issues and bugs. Designed as a “more serious experience”, Competitive Play unlocks at level 25, and is available via the Play button in the Overwatch main menu. You can enter as a solo or in a group, and matchmaking is skill-based. You’ll need to play ten placement matches to kick off your ranked Overwatch, after which you’ll be given a skill rating between 1 and 100; 100 is the best rating. Skill ratings alter with each win or lose, depending on your performance and the skill rating of your opponents in each match. Blizzard has planned four Overwatch seasons of two and a half months each. Stats will be reset at the end of each season, and then there’ll be a two week holiday before it all starts again. The seasons will track northern climactic seasons, so the one beginning today is Summer 2016. Control maps are played in a best-of-five format rather than a three-round system. The first team to score three points wins. Teams are awarded one point any time a capture point is taken or a payload reaches a checkpoint. Both teams play one round on offense and one on defense, and the team with the most points after both rounds wins. If the game ends in a tie and neither team has delivered the payload to its final destination, the team that pushed the payload further will be the winner. On King’s Row, Numbani, or Hollywood, if neither team takes the first point, or the final score is tied, the match enters sudden death. This will change for the Fall 2016 season, switching to the Assault rules described below. Each team plays one round on offense, and the team with the most points after both rounds wins – but if the first team fails to capture a point, the match ends as soon as the second team captures the first objective. If the score is tied after the first two rounds, each team plays a second round on offense, but only have the time that was remaining on the clock at the end of their previous offensive round. If either team had fewer than two minutes left on the clock during their previous round, their time is increased to two minutes – but won’t get another offensive round no matter what. When either team runs out of time, the team with the higher score wins the match. If both teams are tied with no time remaining, the match enters sudden death. In sudden death, the game randomly places one team on offense and the other on defense. Teams then play a single, abbreviated round. If the attackers capture the first objective before time runs out, they win the match. Otherwise, the defenders are awarded the victory. This system will only be active for the Summer 2016 season, though. All players who complete ten placement matches during a season will receive a special spray and player icon. New designs will be awarded for each Overwatch season. Players who earn enough Competitive Points through wins can purchase golden skins for weapons on a character by character basis. Players who reach the top 500 of the leaderboard each season will be flagged in-game. Blizzard is planning to take a strong stance to prevent negative player behaviour in Competitive Play. Players who leave Overwatch matches or go AFK will be ineligible to join a new match until the one you abandoned is complete. If you were disconnected or otherwise knocked out against your will, you can reconnect to a match. Failure to reconnect will result in a penalty. Players who repeatedly fail to reconnect with find their access to Competitive Play restricted. The severity of lock outs will increase as infractions mount up, but your pool of shame will drain if you behave yourself for a while, so a sudden connection failure won’t drop you right back in the soup. Really poor behaviour will result in season long bans. If you become inactive or leave within the first two minutes of the game, the entire match will be canceled. Leaving before the end of a match will make you ineligible to join a new game until the original match has been completed. If the infraction happens after the two-minute mark, you will be given one minute to reconnect. If you return, the match will resume normally. If not, the remaining players will be given the option to leave without receiving a penalty, but they will receive a loss. What qualifies as “inactive”? Generally speaking, any time a player doesn’t touch the mouse or keyboard for 30 seconds – whether they’re on the character selection screen, the pregame countdown, or in the main phase – they will receive an inactivity warning. If no input is recorded within 15 seconds of the warning, the player will be kicked from the game. Also, players who avoid combat for three minutes will be considered inactive. Enjoying all this depends on you bring able to get into the game, of course; Blizzard has been fighting off a DDoS affecting all Battle.net games, including Overwatch, today.